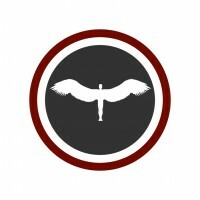 Icarus Miniatures is a new wargames company based in North Wales, UK. Our mission is to create the most narrative and cinematic games and gaming experiences on the market. We want to provide the framework for gamers to be able to create incredible stories on their tabletop; stories they’ll be re-telling for years to come. Icarus Miniatures have announced their new sculpting services, offering 3D miniature sculpting to companies and individuals alike. Greetings wargamers. I’m excited to announce that the new Icarus Miniatures website is now live. See what’s new after the jump! The Icarus Miniatures Kickstarer Is Funded! No Comments on The Icarus Miniatures Kickstarer Is Funded! Happy Sunday, wargamers. The Icarus Miniatures kickstarter has been funded within the first 36 hours and we’re on our way to unlocking stretch goals. Hello wargamers, we’ve got two new sculpts to show off for you today! Hello wargamers, today sees the release of the new Feral Nexus from Icarus Miniatures! Happy Tuesday, wargamers. Today we’re showing off the renders for our next release, the Feral Nexus! Greetings Wargamers. We thought we would celebrate this weekend’s 10% off sale by taking a look again at the Feral Nexus. Get a Sneak Peak of the Feral Nexus Sculpt, and 10% off Everything in Store This Week! No Comments on Get a Sneak Peak of the Feral Nexus Sculpt, and 10% off Everything in Store This Week! Happy Thursday, wargamers! We’re excited to announce that we have released 3 new miniatures; the Alliance Troopers. Greetings wargamers. We’re pleased to announce that the second Nexus Grunt miniature is now available from Icarus Miniatures!